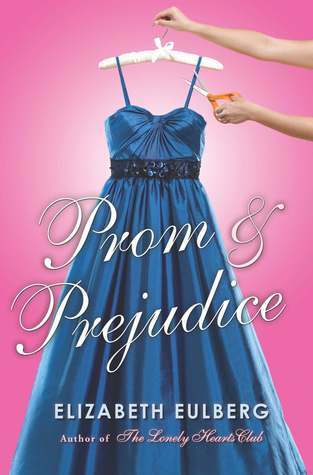 A prom-season delight of Jane Austen proportions. William Darcy and Elizabeth Bennett are pretty much my favorite literary duo ever. That’s not uncommon. And I like just about every reinterpretation out there today. 2.5 Gnomes make it sound like I didn’t like Prom & Prejudice by Elizabeth Eulberg. I did. I’m not just saying that either. It just didn’t “wow” me. But…It’s Will Darcy and Lizzie Bennett. It’s the classic tale reinvented. It’s the same witty back and forth and headstrong characters. And it’s the same battle with bad first impressions, misinterpretations, and, well, prejudice. The storyline worked really well at the prestigious boarding school. It was sort of like Pride and Prejudice meets Mean Girls. Being a scholarship kid in a world of haves has to be difficult. And despite some really cruddy interactions with some truly awful rich girls, Lizzie Bennett navigates through the school year with grace and poise. Who can blame her for being a little leery of the oh, so adorable yet stand offish Will Darcy? He really stinks at first impressions! Then again…the dialogue left much to be desired. Some of the teenage characters sounded like they were forty (yeah, you Colin). In fact, some of the dialogue hurt just a little because of the awkwardness. Maybe really rich, boarding school teens talk that way? Something tells me probably not. And I know it was a retelling, and thus, a bit predictable, but the story really played up stereotypes. Despite all that, the classic story holds up, and Eulberg does an excellent job bringing the tale of Darcy and Bennett into the 21st century. Kudos Ms. Eulberg! I'd love to see you tackle other Austen favorites!